Freeview's latest new shopping channel has gone live today, with the launch of Sewing Quarter. Replacing the old "Shop 8-12" service on channel 78, the new service from Immediate Media Co - publishers of the RadioTimes and a number of sewing and craft magazines - is the UK’s first TV shopping channel dedicated to sewing, patchwork and quilting fans. 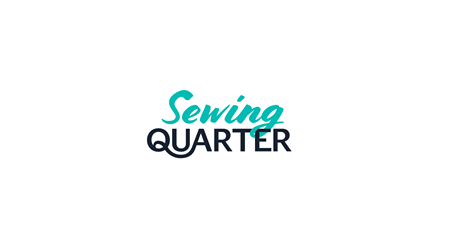 The Sewing Quarter is designed to add a new dimension to UK crafting, delivering a TV and online experience designed to educate, inspire and entertain. Available every day from 8am until 12noon, the channel combines workshops and tutorials from the best designers in the business, alongside TV shopping, e-commerce, video and web content. The brand’s website will live stream all programming, as well as provide a raft of video tutorials and workshops. Presenters include John Scott – for ten years’ resident fashion guru on ITV’s This Morning – and Natasha McCarty, one of the best-known faces in crafting TV. YouView users (BT TV, Plusnet TV, TalkTalkTV) can also see the channel on 78, subject to local Freeview coverage.